Information was recieved from someone who recalled that Larry was involved in an accident involving a train in 1966 that resulted in his death. No obituary has been discovered as yet, but an obituary for his mother confirms Larry did pass away. 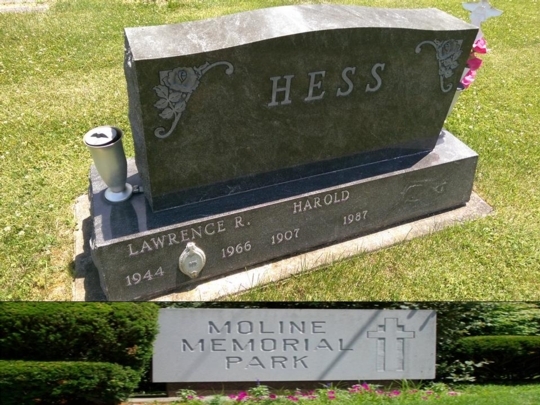 He is buried in Moline Memorial Park.